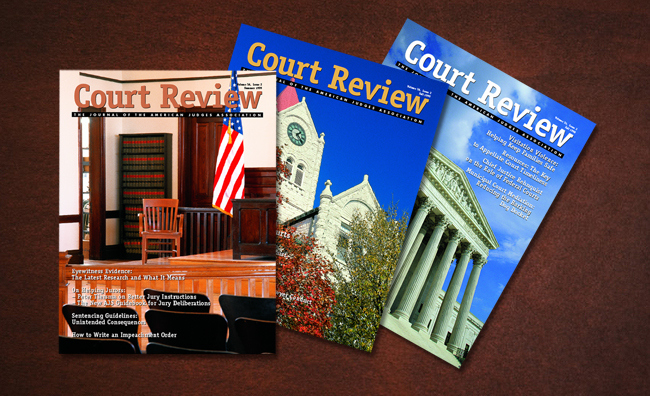 Court Review is the quarterly journal of the American Judges Association and offers indispensible information on jurisprudence to judges throughout the U.S. and Canada. The interior design conforms to a scholarly grid system which provides readability as well as room for extensive footnotes, tables, and graphs and the cover provides eyecatching interest by showcasing a different courthouse with each new issue. Not every small design studio can offer lengthy text formatting, accurate editorial changes, and meticulous style wrangling, but m-design provides these services with the same eye for detail as the design. Presentation has its place, but it is of little value if the content is compromised. The jury finds for m-design.